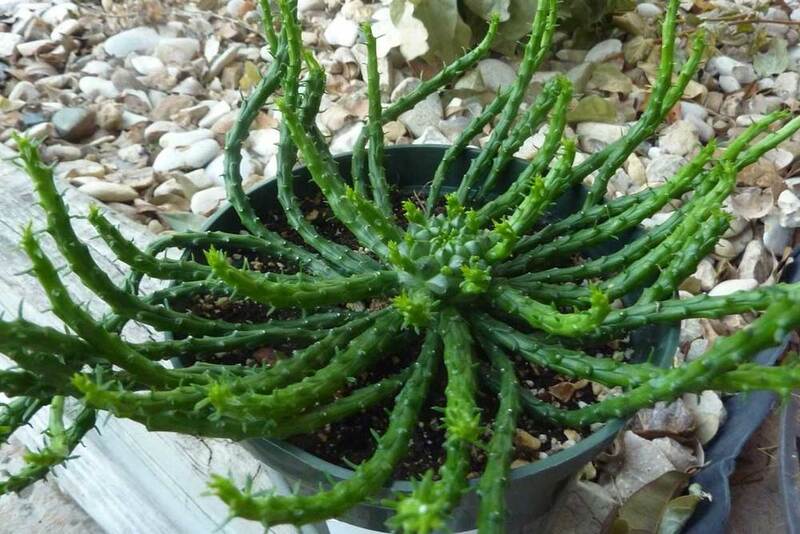 The Euphorbia caput-medusae or Medusa's Hair is a great alternative plant, and we love it used as a potted table top plant. The individual stems grow up to about 30cm long, producing a ring or crown of small yellow flowers once fully matured. This plant grows well in Australia and in our home town Sydney. Be sure the soil or potting mix is well drained and the soil kept moist. The Medusa's Hair can handle a little more water than your average Cactus or Succulent but should be kept in a brightly lit or sunny position. Like other Euphorbias the sap is toxic. Avoid your skin coming in to contact with the sap and be sure to wash immediately if it does. If you love this plant as a stylish statement as much as we do, you can propagate your mature plants with the pups produced by the flexible branches. To see some of the other plants we love and plants suitable for table top planting, check out our full list of Plants of The Month.